I’m delighted to participate in Persephone Reading Week co-hosted by Claire and Verity this week. Before I tell you about my reading choice I wanted to share with you how Persephone Books came into my life. About 7 years ago, before I had my blog I was an active participant in the Chicklit Forums. Readers gathered to talk about books we liked, books we were reading, to recommend books, etc. and it was through that forum that I first heard of Persephone Books. Some of the members highly recommended these gems and after hearing about them I knew I wanted to have some on my shelves. Lucky me, around that time I was also planning a trip to visit my friend, Christine, who was then living in Bristol. She’s also a bookish girl so when I mentioned wanting to visit Persephone Books she was game so when we went to London Persephone Books became one of our must-see places. And, that’s how I got to visit the store and finally start my own Persephone collection with a couple of books. I will post later in the week to tell you how my progress goes but I want to hear about you, how did you hear about Persephone Books and do you have a favorite? Is Monica related to Charles? Isabel – Yes, she is. The great-granddaughter. By the way, didn’t you go to the Persephone Bookstore when you were in England? Melody – That’s right! Even though I’ve known about them for quite a while I’ve still only read a few. Maybe I need to treat myself to a new Persephone (or two) this year. Mariana is definitely one of my favourites – thanks for participating in our challenge! You know, I think your blog was where I heard of Persephone for the very first time. That passage certainly makes me like Mariana! I’ve only known about Persephone Books for two years; I wrote about it in more depth last Persephone Reading Week (in my archives although I may re-post this week) but I actually did learn of them a year before that from a friend but I didn’t act on it. I came to them mainly through Miss Pettigrew Lives for a Day and haven’t looked back. Yes, I did. You have a good memory. There’s a new store in another part of London. The next time that I am over that way, I have to go. I think it was Chicklit that brought Persephone onto my radar too, though tracing a book obsession is sometimes murky because once-loved blurs with always-loved. I’m new to Persephone books, just got the catalogue and am now deciding which books to make my first purchase, but already have a long list of ‘must haves’. I was introduced by Simon over at Stuck in a Book and can’t wait to get started on them! Verity – I’m glad to hear that. It seems Mariana is a popular one! Thank you for hosting the event. It’s great to see so much enthusiasm for the press. Nymeth – Isn’t that a great intro? I’m only about 30 pages in but I feel she’s going to be an interesting character. Claire (Paperback Reader) – Wasn’t Miss Pettigrew fabulous? I am really looking forward to catching up on yours and Verity’s postings about Persephone. Thank you for this wonderful reminder about these books! Buried In Print – I miss Chicklit. I used to visit all the time when the forums were a lot more active. Anyway I’m so glad I found out about Persephone’s via the forum. Beth – Oh you are in for such a treat. I highly recommend Miss Pettigrew Lives for a Day and The Blank Wall. Tiffany – Have you decided which one you’ll start with? I think my first Persephone was the diary of Etty Hillesum. I can’t remember the exact title right now. Wonderful. My husband just bought me a 6 month subscription to persephone and I love it! nikki – I saw that! You lucky girl 🙂 By the way, I’ve been reading your blog but am just having the hardest time commenting. I think it may be the browser I’m using but hopefully I can look into that soon. I love your story of how you discovered Persephone books. I had never heard of them until I started my blog and starting reading others a few years ago. I have yet to purchase one but I know I will get around to it one of these days. 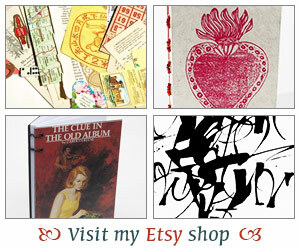 I actually discovered Persephone Books via your links list! I took a peek and thought they looked great but it took me a little longer to finally get around to ordering any–of course once you do, you’re usually hooked! Hope you’re enjoying Mariana! I like that beginning also and I’m planning to read Mariana once I finish The Making of a Marchioness. I heard about Persephone just recently through the book blogging community and even more recently found my library had a few of them! Kathleen – If you are taking suggestions for which Persephone to start with, I say Miss Pettigrew Lives for a Day. Just love that book! Danielle – I was just reading a bit more tonight and couldn’t believe the game the kids were playing, hangman but not the drawing kind! haha… Didn’t expect that. Katherine – I’d love to hear which one is your favorite? Which one are you reading for this week? I need to stop in and visit! Carolyn – Oh how great that your library carries some! I wish mine did too although there is something so nice about owning them. Granted, they are a bit pricey but a nice indulgence. I’ll have to stop in and see how you like Making of a Marchioness. I haven’t read that one. Lovely to hear how you came across Persephone. I came to them through Family Roundabout by Richmal Crompton, which I’d already read as I was already a fan of RC’s novels, having found one by accident in Hay-on-Wye. I *still* haven’t read Mariana… this Persephone Reading Week, like last year, is just making me realise how many Persephones I want to read. Simon T – Oh Hay-on-Wye, I have a good story about visiting that lovely place too 🙂 I think I’ve decided I want to read all of them one day. Well, I can dream about it right? I wish I had opened GoogleReader last week! I missed Persephone Week. Darn. I actually need a proper introduction and should go request a catalog – am I right to assume this isn’t just an English thing?